Looking for just the right apartment? At just the right price? We have it for you at American Wire. This two bedroom two bath apartment is waiting for you. This apartment has kitchen and bathroom granite countertops, pantry, stainless steel appliances, oversized windows and original hardwood floors. Each unit includes a high efficiency washer/dryer. Want some amenities? We have an on-site fitness center, indoor basketball court, community room with billiard table, reading room with Wi-Fi hot spot, a gathering room with full kitchen, state-of-the-art theatre room and outdoor community patio. American Wire has it all and we are a pet friendly community too! Current Special: One Month Free Rent on New 13 Month Lease! Limited Time Offer. Subject to Change. Owned and professionally managed by Brady Sullivan Properties. 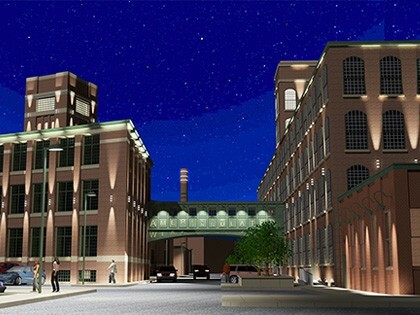 Located just outside of Providence off Route 95, Pawtucket, Rhode Island, is just minutes away from the city and all that Providence has to offer. Our leasing office is open 7 days a week, Monday thru Saturday 9 AM to 5 PM and Sunday from 12 PM to 5 PM. Stop by American Wire at 413 Central Ave or call our leasing office! Respond to this posting today to schedule your personalized tour. *Prices and special are subject to change at any time. Photos may represent similar unit.